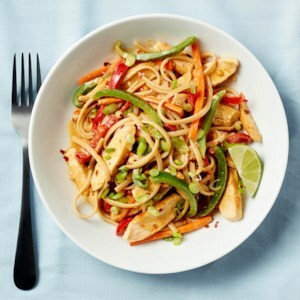 Find healthy, delicious gluten-free pasta recipes, from the food and nutrition experts at EatingWell. 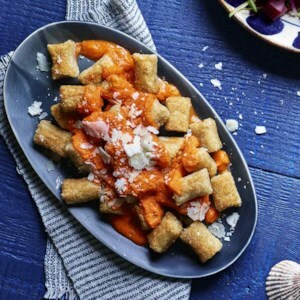 This may look like Italian potato gnocchi with red sauce, but one bite reveals more Japanese than Italian influence, because the "gnocchi" in this healthy dinner recipe are made with jasmine rice. 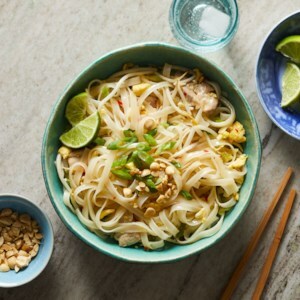 To make sure they hold together, form them while the rice is still quite warm and use glutinous sweet rice flour. 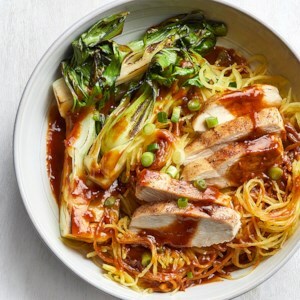 Recipe adapted from Chef Greg Harrison, Pacific'O Restaurant. 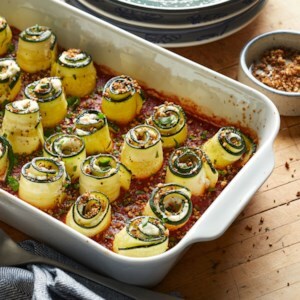 Adding cauliflower to the traditional potato in this homemade gnocchi recipe results in gnocchi with fewer carbohydrates and calories than those in the classic recipe. 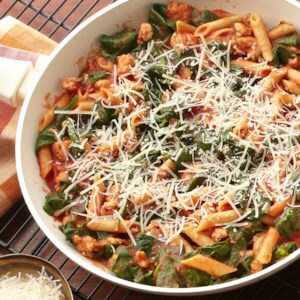 And, using gluten-free flour makes this a treat that everyone can enjoy. 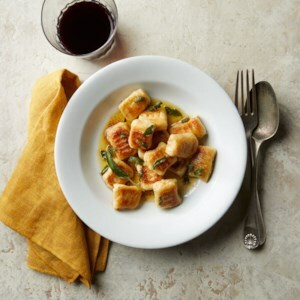 Toss the gnocchi in this easy and delicious brown butter and sage sauce, or use it in place of regular gnocchi in your favorite recipe. 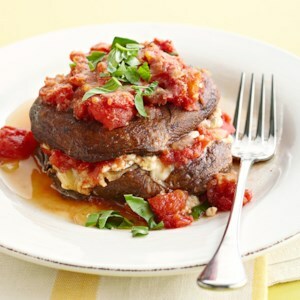 Sauces made with heavy creams are loaded with calories and saturated fat. 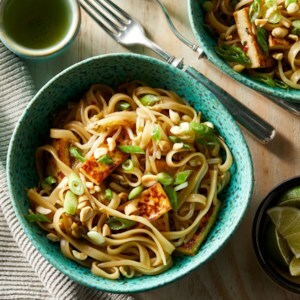 This recipe uses a peanut sauce that has all the richness of a cream sauce but with heart-healthy fats instead. 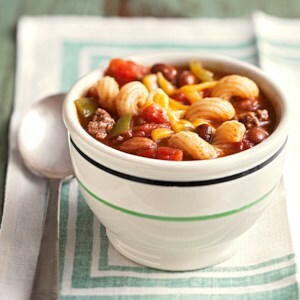 Be careful--if using a store-bought sauce, check the ingredients list for added sugars! 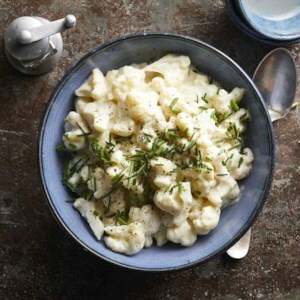 There's no pasta here, but this gluten-free and low-carb cauliflower "mac & cheese" is as comforting and creamy as your family's favorite cheesy dish. 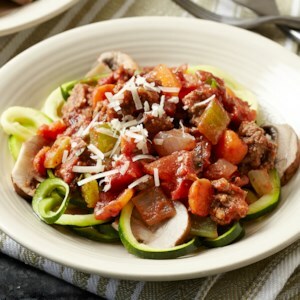 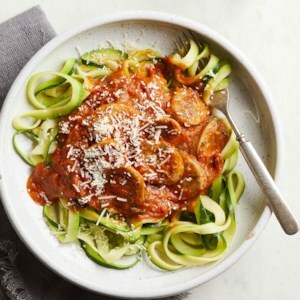 This healthy summer dinner subs zoodles for pasta to help use up your zucchini bounty--as well as slash calories and carbs. 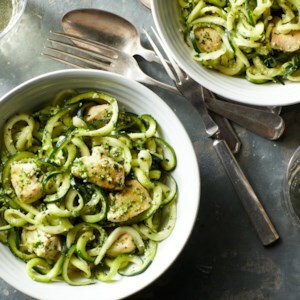 Once the spiralized zucchini has time to soak up the herby pesto sauce, this chicken and pesto pasta makes particularly good leftovers. 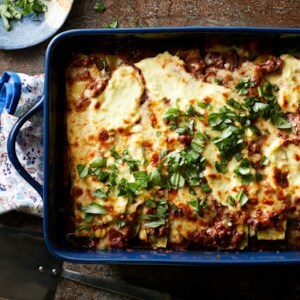 Vegetarians and meat-eaters alike will devour these comforting lasagna rolls. 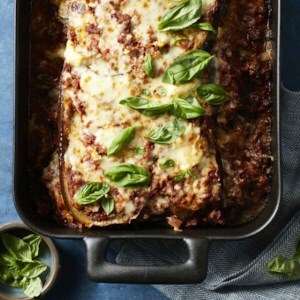 We use thinly sliced eggplant in place of pasta to cut the carbs. 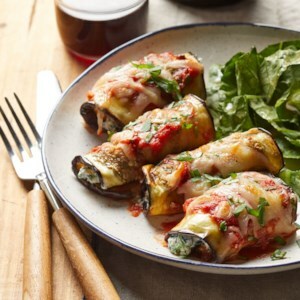 Preroasting the eggplant helps develop the flavor and softens the slices for easy rolling. 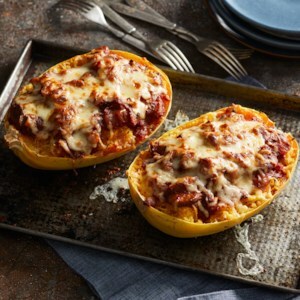 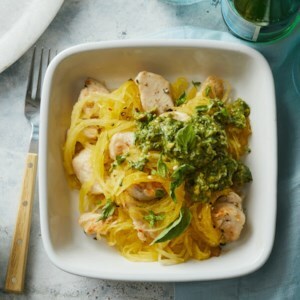 Give pesto pasta a healthy makeover with this easy recipe that combines low-carb spaghetti squash with high-protein chicken breast. 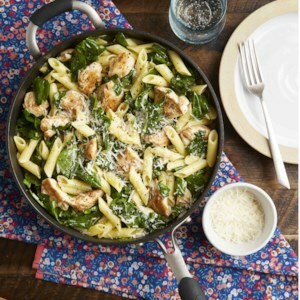 Top this powerhouse combo with homemade basil pesto that gets a creamy upgrade from ripe avocados to complete a mouthwatering chicken dinner.